"We give the government time by April 2 to sign the contracts on coal supplies with countries which do not conduct warfare against Ukraine. We give the government time by April 2 to reconsider its trade policy with the aggressor country of Russia," the blockade's main organizer, Anatoliy Vynohrodsky, told reporters. "First of all we will not let coal from Russia pass," Vynohrodsky pointed out. Vynohrodsky noted that concerning other supplies from Russia, the blockade organizers would "consult with the Ukrainian people." In late January, a group of former participants of Ukraine's military operation in Donbas, including several lawmakers, blocked traffic on several segments of freight rail lines running from the territories uncontrolled by Kiev. 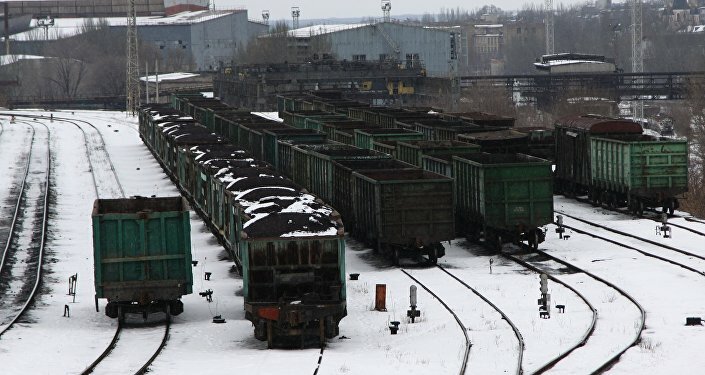 The blockade led to irregularities in supplies of anthracite coal from Donbass, leading to power shortages in Ukraine and prompting Kiev to declare an energy emergency.